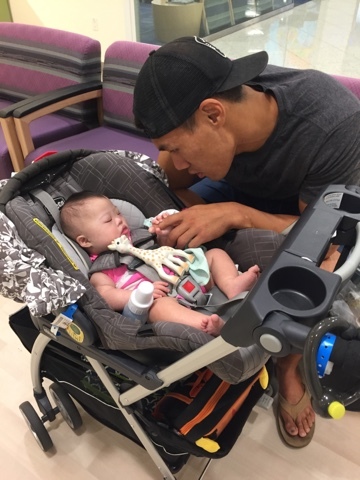 Evie the Extraordinary and Her Mommy: The Journey As We Go: Happy 1 month Heart Day! I just realized today is the one month anniversary of Evie's newly fixed heart! She is showing herself to be much stronger. Today she decided that she is testing how loudly she can yell in our faces. We have no idea what she is saying, but we love hearing her "talk"! Here she is at the GI Clinic for a follow up. 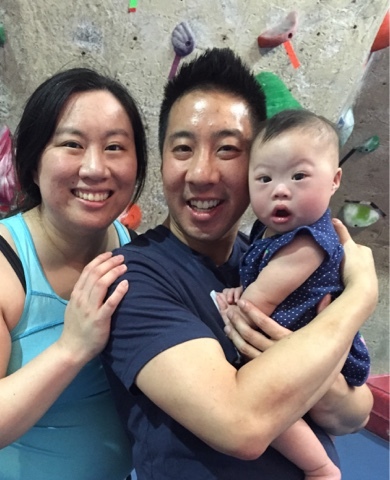 Evie also went to a rock climbing gym for the first time! We went with our friends J and R and Evie's Uncle Dave! 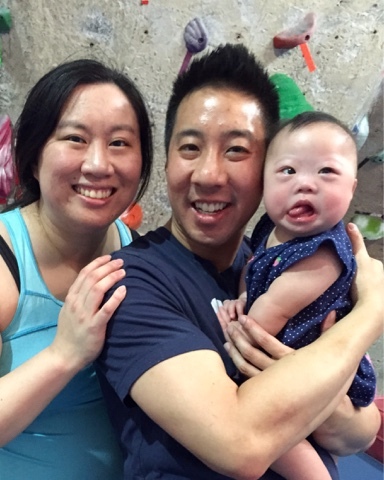 Rock climbing is surprisingly very family-oriented. Evie was not the only baby there! Evie is working on her own climbing--climbing of the Boppy! 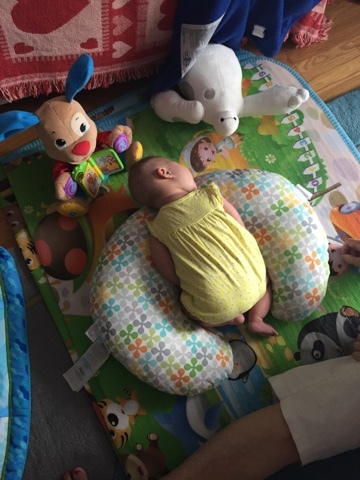 She hates tummy time still. 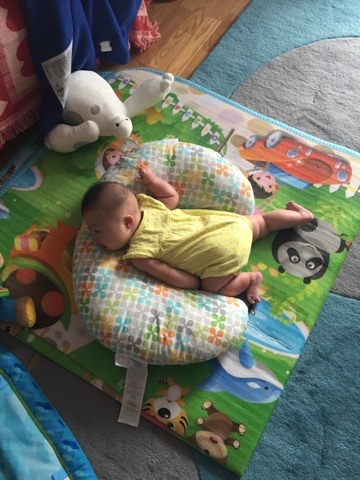 Here she is just accepting the Boppy and cuddling up to it instead of pushing herself up.